Sooo, I woke up this morning and realised holy guacamole it's Friday. I don't know what day I thought it was but Friday definitely seemed to sneak up on me all of a sudden. This week has been busy.. but it's okay..
Why? BECAUSE IT'S SUMMER! And there's only 23 days til Christmas. I'm in the crazy ridiculously busy part of the year but despite the stress and constant running around, I wouldn't change it for the world. Sure, I can't wait to take some time off with my family over Christmas - but I love that my calendar is filled with holiday events and fun projects! 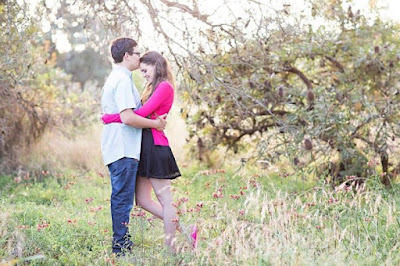 Recent Excitement: We had our (very belated) Anniversary Photo Shoot on the weekend and Lucie our wedding photographer shared some sneak peeks on our Facebook and Instagram pages. LOVE LOVE LOVE LOVE LOVE! 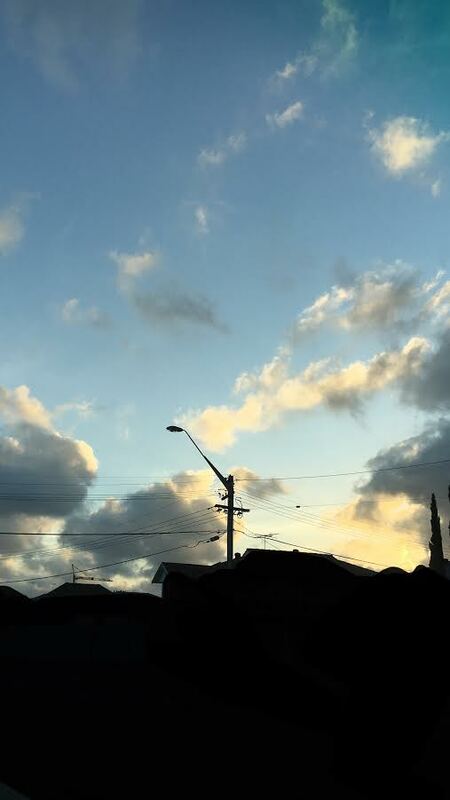 Recently Loving: Jesse's love of Christmas. Let me get this straight; when Jesse first came here for Christmas, he thought I was crazy. His family aren't really into Christmas the way we are so Jesse went from the whole celebrating Christmas only on Christmas day by eating/exchanging gifts to THE WORLD OF CHRISTMAS that is our family. He saw the Christmas lights out the front of our house and surely thought we were nuts. He walked inside to find decoration after decoration and Christmas tshirts filling our closets and whilst he thought our first Christmas ornament was sweet, I bet he probably wasn't into that too much either. Fast forward five years (or is it six?) and I have a husband who LOVES Christmas. 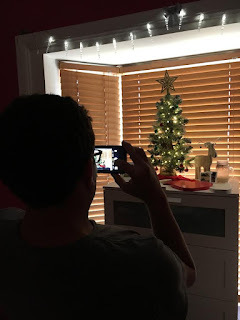 In fact, he loves Christmas so much that he decided we had to have a mini Christmas tree for our bedroom. Usually we have a heart shaped marquee light up there but that wasn't going to cut it. 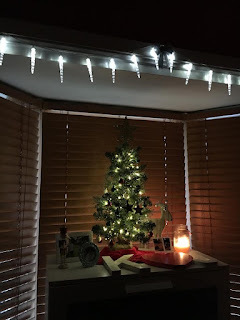 Nope, we had to go out to the shops (even though he HATES shopping malls), find a mini Christmas tree (we got this one for $10, fellow Christmas lovers) and then go on a hunt for mini baubles, a mini set of lights AND a star to put on top that was just the right size. We spent two and a half hours racing all over Westfield searching shop after shop for just the right ornaments and then glitter phobic Jesse didn't even care about all the glitter as he perfected the tree with me. A Christmas miracle, my friends! 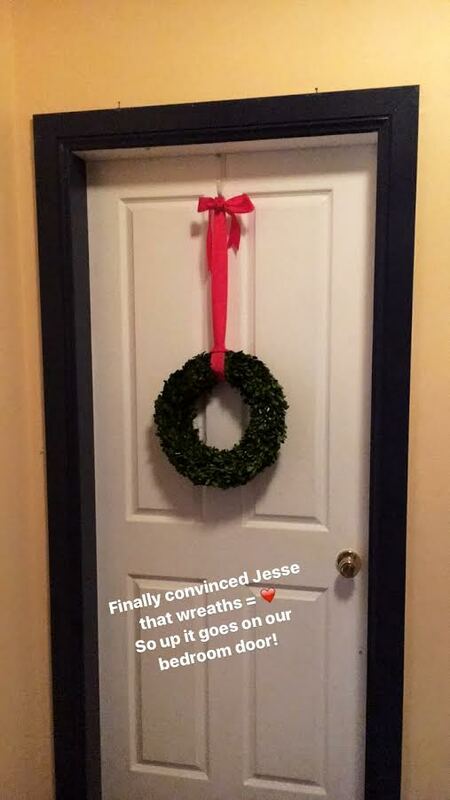 Oh, and it's even more of a Christmas miracle because he even let me put a real wreath on our door. 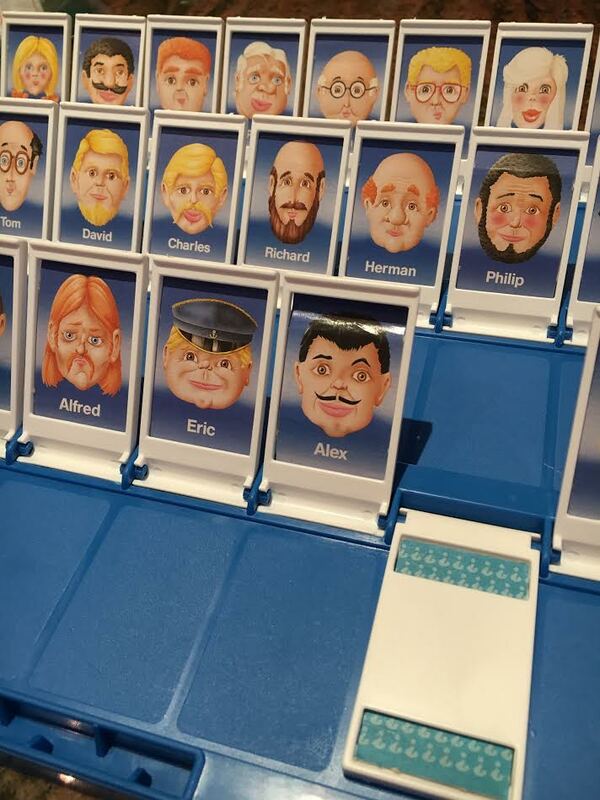 Recent Fun: Teaching Jesse how to play Guess Who. We were watching everyone's Instagram stories on Monday when Jesse saw Kelle's story where they were playing Guess Who and he said "how do you play that?". 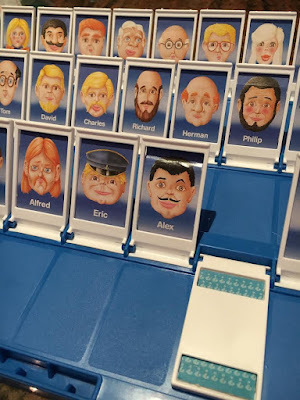 I couldn't believe that he'd never played Guess Who so I immediately went on a hunt for it, digging through all of our cupboards and pulling it out to play whilst we ate dinner. Needless to say, I totally dominated. Though, Jesse got one really lucky guess and realised I was Phillip after only asking one question. Recently Drinking: ALLLLLLLLLLL THE KOMBUCHA! 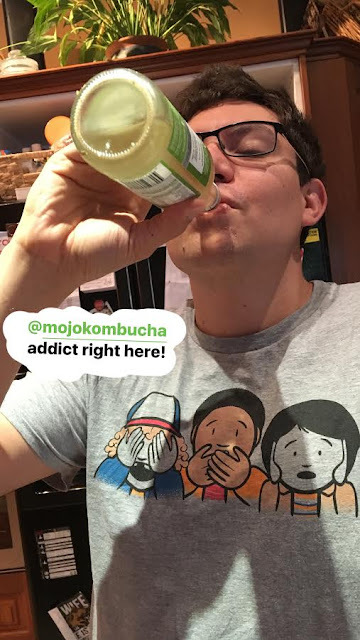 We're hopelessly obsessed with MOJO Kombucha. It might be a bit crunchy granola hippie of me, however, I cannot recommend kombucha enough for gut health. Both Jesse and I swear by it and MOJO make the best Kombucha in Australia. 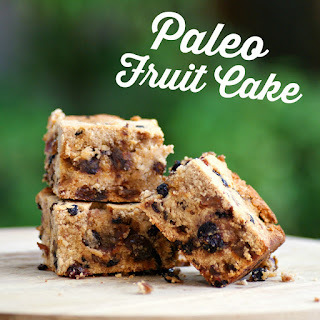 Recent Thankfulness: Warm weather, blue sky days, incredible friends, safety, eliminating a heap of food intolerances now that my stomach is seemingly healed (hello cranberries, peaches, grapes, figs... the list goes on and on! ), my amazing husband, an abundance of work, crazy puppies, Christmas joy.... I could go on forever! Recent Recipes: This week I shared two recipes we're pretty much obsessed with! 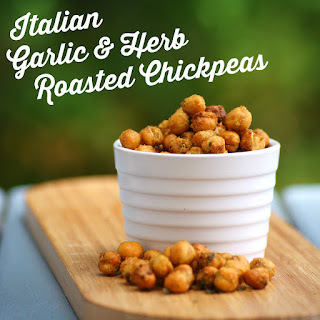 Our Italian Garlic and Herb Roasted Chickpea Snack Recipe and the most incredible Easy Paleo Fruit Cake Recipe. And what was your favourite game/board game as a child?